The Shut-down M0600 unit provides protection for any type of diesel or gas engine. The unit has inputs for over speed, low oil pressure and a user defined input which can be used to monitor e.g. high water temperature. The M0600 has an input to indicate that the engine is running and another input to indicate that the engine is in the process of being halted. An output relay will give a closing signal, which can be used to stop the engine via the fuel valve or the stop solonoid (if available). 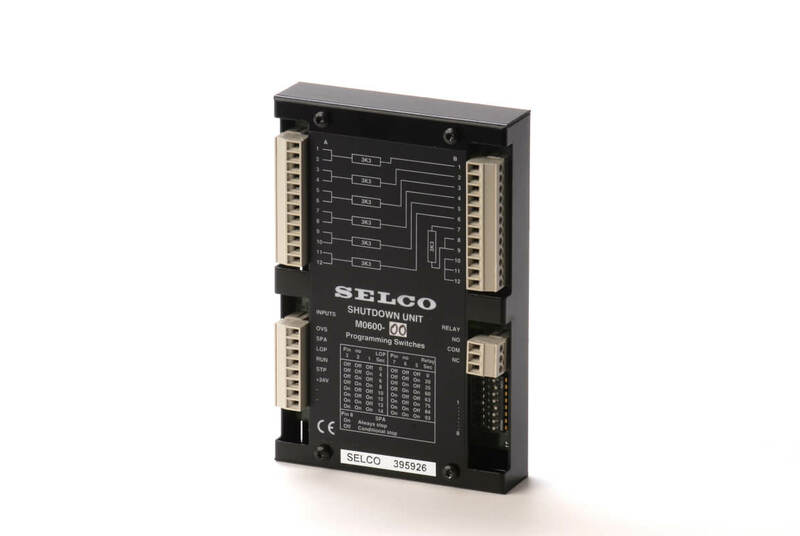 The M0600 will work as a stand-alone protection unit for DIN-rail mounting. Alternatively, when limited space is available, the M0600 can be mounted directly on the rear side of the M2000 Engine Controller.